Professor Forrest received his BS in Physics from Antioch College (1968) and his PhD from the University of California, San Diego (1974). 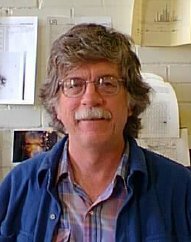 After research positions at the University of California, San Diego (1974-75) and Cornell University (1975-81), he joined the University as an Assistant Professor of Astronomy in 1981. He was promoted to Associate Professor in 1987 and to Professor in 1999. Professor Forrest's primary research interest is in the area of infrared astronomy. In particular, he has focused on the nature of dust in and around stars and in the interstellar medium, star formation, and investigations of brown dwarfs. To this end, he is developing advanced infrared array detectors for cameras and spectrometers on ground-based and space observatories.